How old was the pregnant woman in Isaiah 7:14? But how old was this “young woman”? Was she really young? Younger than whom? Accordingly, people didn’t have time as they do now to spend their first decade as care-free children, then find themselves in their teen years, explore the world as twenty-somethings and settle down as thirty-somethings. They’d be dead before they ever really started living. So what about “young woman” as a translation? There’s an old adage in linguistics that even a big mouse is smaller than a small elephant. In our current case, we want to keep in mind that “young” is relative, too. As I personally use the phrase, “young woman” usually applies to a woman in her 20s or even older. By this reckoning, “young woman,” at least in my dialect, is — surprisingly — too old for alma. There’s also another aspect to consider. Did alma refer to age, or to stage in life? I think it’s the latter, and I think the stage in life was the one at which a woman normally got married. In other words, Isaiah 7:14 is about a woman getting pregnant just at the age one might expect. Does “young woman” in English convey that? I don’t think so, both because it may convey the wrong chronological age, and because it emphasizes “young” in a way that the Hebrew does not. 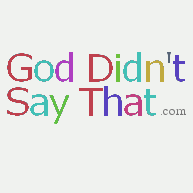 Until January 31, you have another chance to win a free, singed copy of my And God Said. We’re giving away a free copy of And God Said: How Translations Conceal the Bible’s Original Meaning, signed by the author. For the best chances of winning, enter the sweepstakes via Twitter. You can also enter from the book’s Facebook page (and while you’re there, you can become a fan), or directly. A winner will be chosen at random from all eligible entries shortly after Monday, January 31. So hurry! Based largely on works by David Crystal (Begat: The King James Bible and the English Language) and Alister McGrath (In the Beginning: The Story of the King James Bible), the article quantifies and explains the impact of the KJV on English, along the way describing the nature of the KJV. 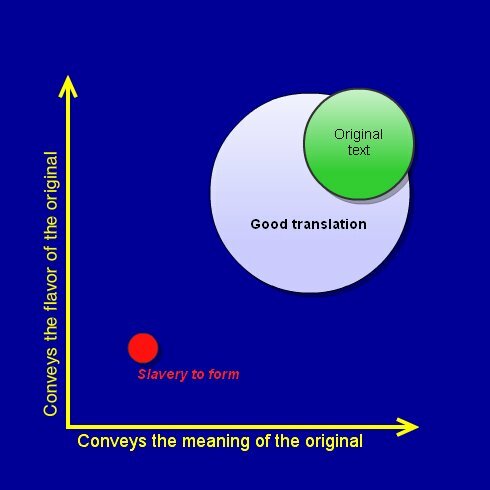 Perhaps the most intriguing reason for the impact of the King James Bible is that it ignored what today would be considered essentials for good translation. As the debate about public displays of the Ten Commandments heats up again (also via the AP), this time in Mountain City in Johnson County, Tennessee, I think it’s worth remembering that most people are fighting over an inaccurate translation of the Ten Commandments. In particular, the original Hebrew of the sixth commandment (fifth for Catholics and some others) applies only to illegal killing, so “thou shalt not kill” is overly broad, that is, wrong. It’s true that “kill” is a common mistranslation, going back at least to the KJV, but it is nonetheless wrong. If the point of the Johnson County display is to reflect biblical morality, shouldn’t the best scholarship be used? Does the fact that the Johnson County display is promoting a specific interpretation of the Bible, rather than the Bible itself, make a difference to the case? And while we’re at it (and I hope I don’t regret asking), what do you think: Should displays of the Ten Commandments be allowed in public? The Joseph narrative is brilliantly written in a way that few translations capture. One example comes when Joseph, having been thrown in jail, is asked to interpret the dreams of two of Pharaohs’ servants — the butler and the baker — who have also been imprisoned. First comes the butler, and Joseph has good news for him: “Pharaoh … will restore you to your position” (Genesis 40:13). For the baker, the news is not so good: “Pharaoh … will hang you on a tree” (Genesis 40:19). The key text, though, lies in the parts I just left out. …off of you and hang you on a tree.” Oops. Certainly the English “lift up your head” doesn’t work for the butler. That’s not an expression in English (though that doesn’t stop most translations from using that flawed wording). But alternatives like the CEV’s “the king will pardon you” don’t seem to offer any hope of preserving the word play. Can anyone come up with a good way to translate these two lines?